We live in a world where experience is everything. Online stores are making it their priority to re-create themselves and innovate. A leading way to do so is by providing content beyond the “basic” product gallery. It allows customers to discover exactly what they wish to buy. 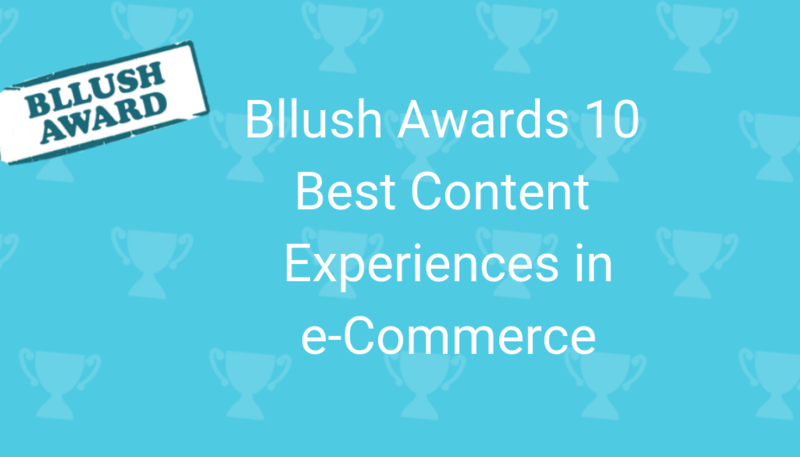 Today we’re looking for the best content experiences in e-Commerce. Of course, it is easier for the ‘giants’ to do so with their many resources. ASOS, for example, is creating great & interactive content in-house. While for small/medium sites, it’s a big challenge: the lack of resources and the lack of ability to “risk” any percent of the traffic leads to stagnation. The result is that the majority of e-com sites look exactly the same. It’s crazy, yet understandable. Every little ‘wrong’ change can cost them a lot in various parameters, which makes it easier to keep things the way they are instead of taking risks… even if those risks can lead to a massive revenue increase. Interestingly, these sites are being introduced to around 100 new technologies a year, all of which are trying to provide them with solutions to optimize different KPI’s. That sounds wonderful, though in reality it is difficult for them to assess which one will work for them. So, only the ‘brave’ ones innovate and take risks with new in-house ideas or technologies. Lately, we have been searching for the sites that are doing an incredible job without many resources. They all share a few things in common: creativity, new technologies and a customer-centric understanding. We believe they deserve credit for taking the role of leading this industry forward. 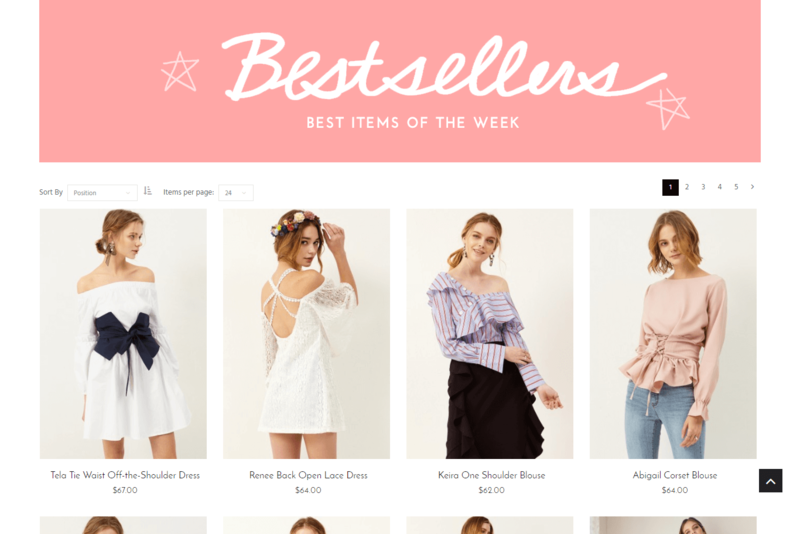 In this article, we take a look at 10 of those e-commerce sites that ‘just get it’. They have mastered the shoppable content experience. It’s clear that they understand their customers’ needs and motivations – we love that! Quiz provides an offline magazine experience, online. You can actually “flip pages”, and the website makes a “page-flipping” sound effect to give it a real-life feel. Most importantly, all of the outfits in the magazine are linked to the products you can shop in the store. 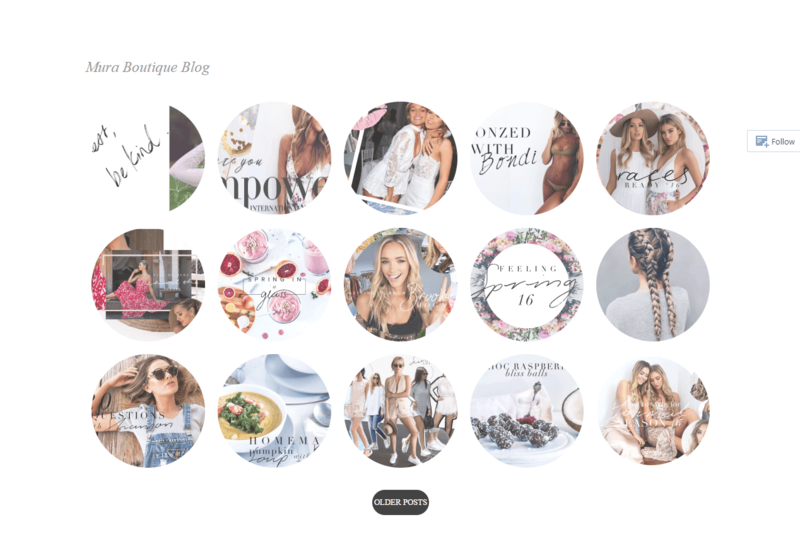 Mura Boutique is totally working the content field with their lovely blog. The vibe here is super chic, fun & free. Many short visual articles about whats trending and hot. Images are so inspiring! 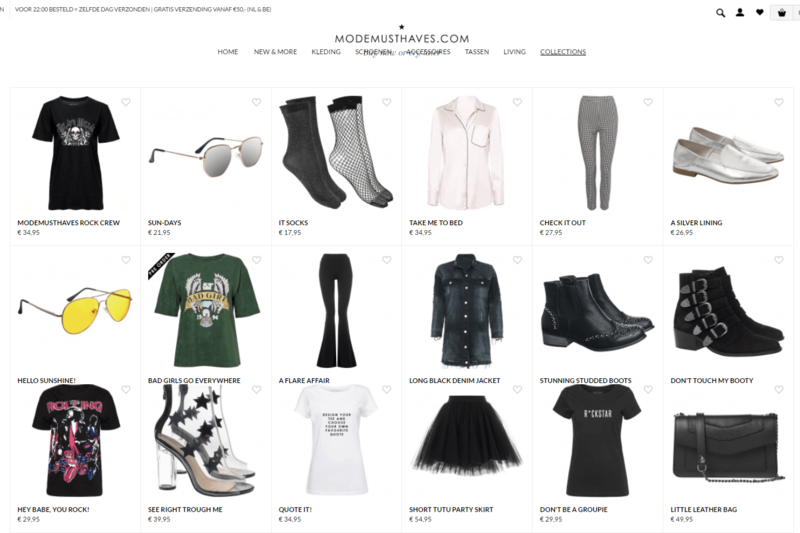 Rockglam is totally rocking it with their beautiful Style Discovery page. You will find there the perfect blogger outfits feed. 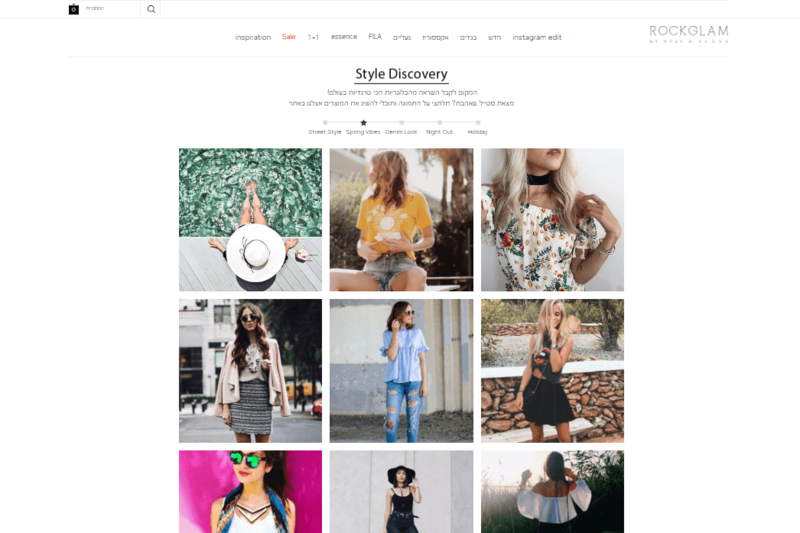 Discover new bloggers, trends & outfits ideas. Oh, and of course, the whole feed is shoppable with links to similar products in the store. So, you won’t only find great products…. but also tons of inspiration for your next outfits with them! 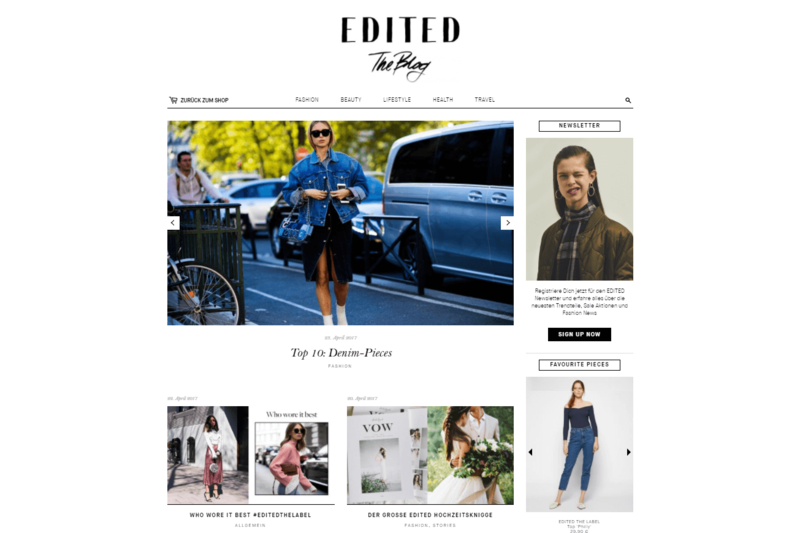 Edited has a super powerful blog. What does that mean? Many great visuals, topics and trends to discover on a daily basis. What’s cool about it is that it’s not only about fashion. You can discover content about health, lifestyle, travel & beauty. Go ahead, see for yourself! 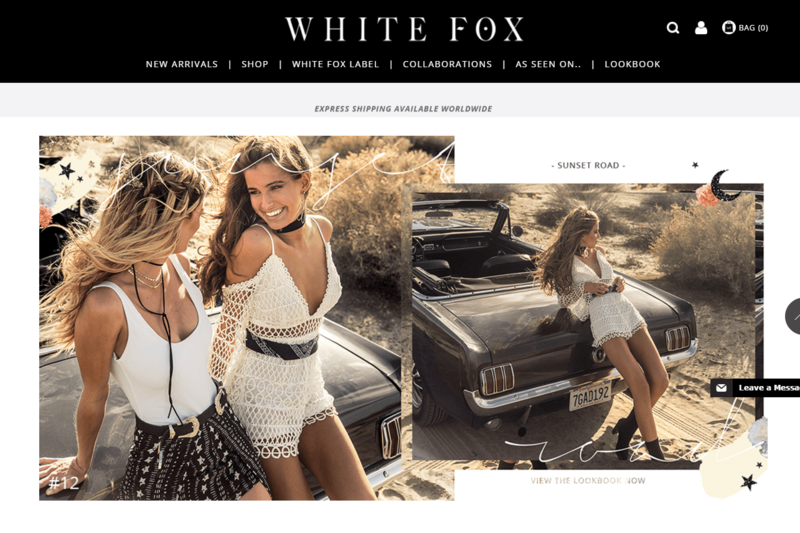 WhiteFox has a phenomenal LookBook. There is something about the vision and cohesiveness of each collection that makes it addicting. Literally. You’ll find yourself coming back for more in no time. All this, without even talking about the products you can find there. That’s a different love story. Reformation is doing a fantastic job with their stories. 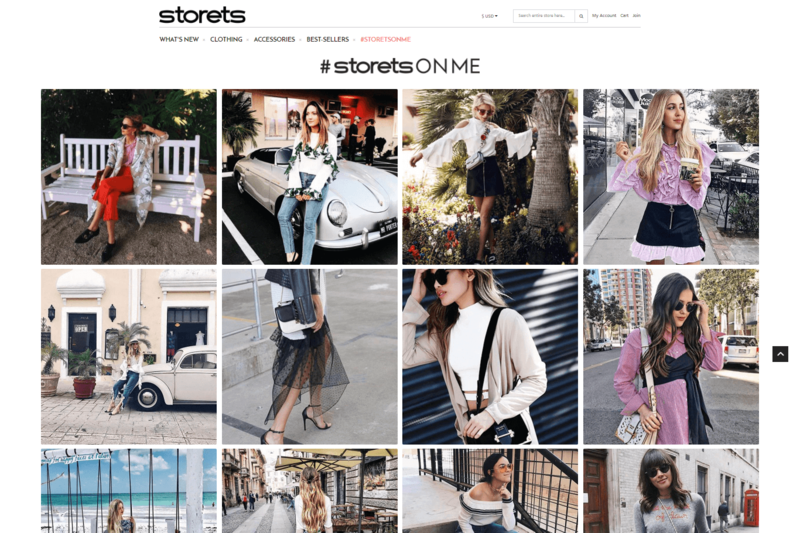 Just like many social platforms, Reformation’s stories upgrades the user’s experience in a big way. You will find here stories that are based on the best trends to live by at the moment. 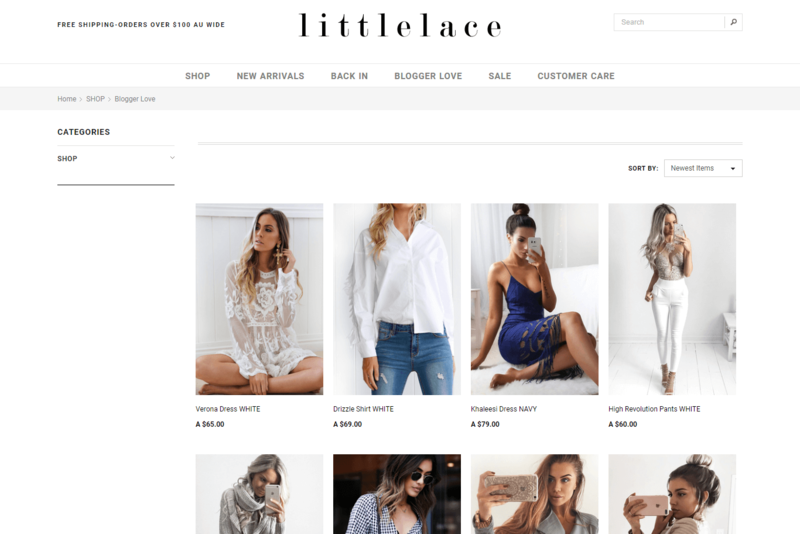 Littlelace is taking it a step further with its ‘Bloggers love’ collection. What does it mean? This collection is built by the favorite picks of specific bloggers. As well, you can also see the blogger wear the product in different outfits. Basically, unlike products you are unsure about — here you get the ‘stamp of approval’ of a fashionable customer, just like you!